Terrain Type – Flat terrain, Canyons, Meadows. 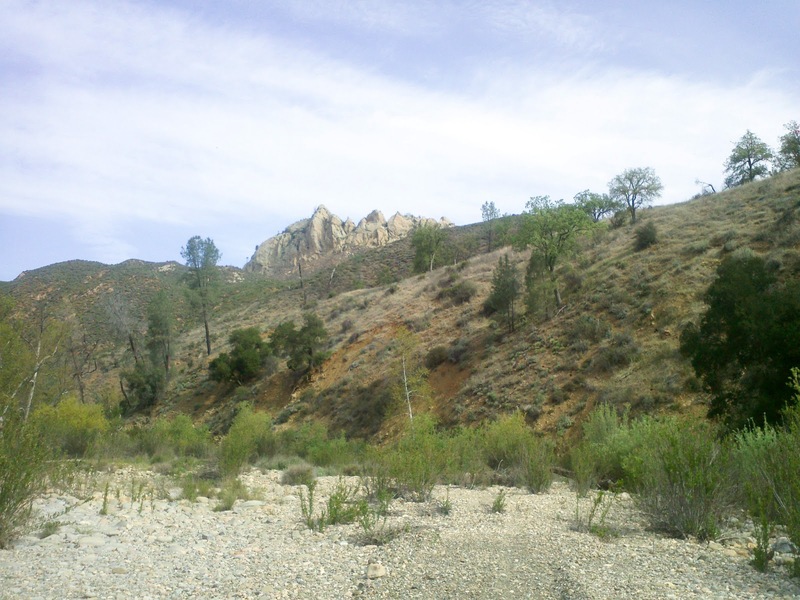 If you haven’t checked out the Santa Barbara Hikes Webpage, I suggest you do so. 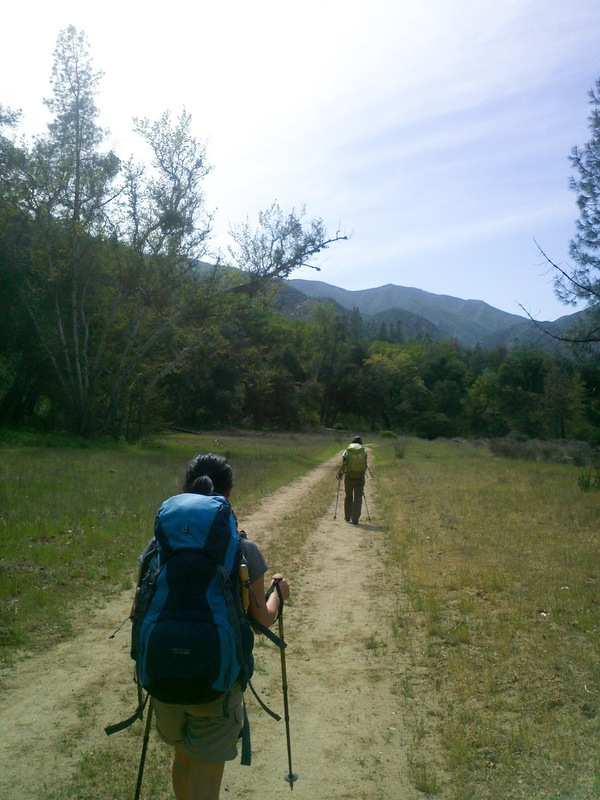 Santa Barbara has great coastal hikes and backpacking trails. 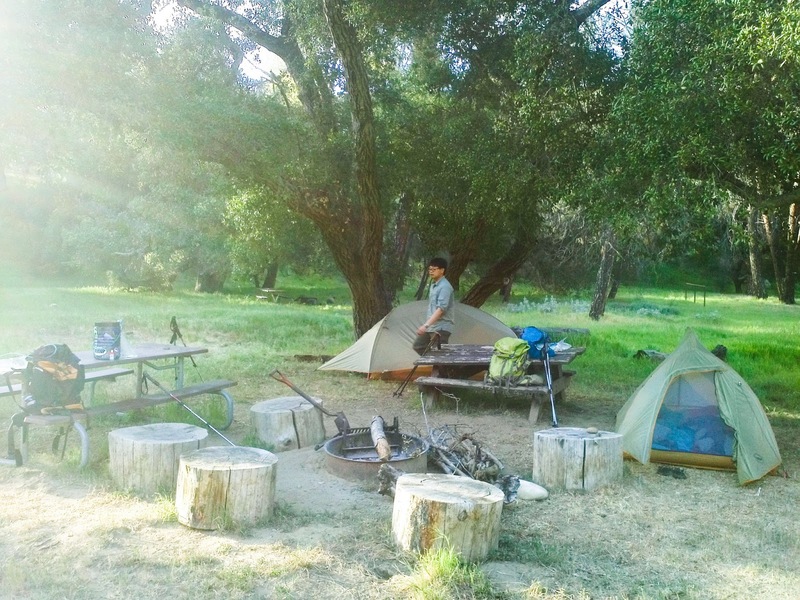 Varying ecosystems and moderate terrain make Santa Barbara a good beginner backpacking area. However, I have learned (the hard way), that this area also has mixed weather conditions that can be unforgiving. I suggest visiting the area between September through May. The summer months are hot, dry, and become active hunting grounds. the water level is low enough to ford. National Forest. 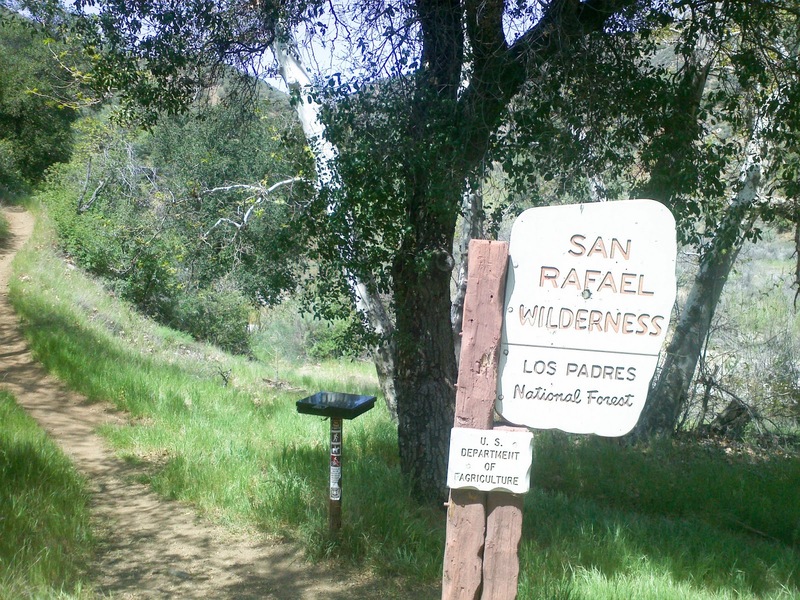 From Santa Barbara, it takes an hour of driving through private and poorly maintained side roads to get to the trail head. 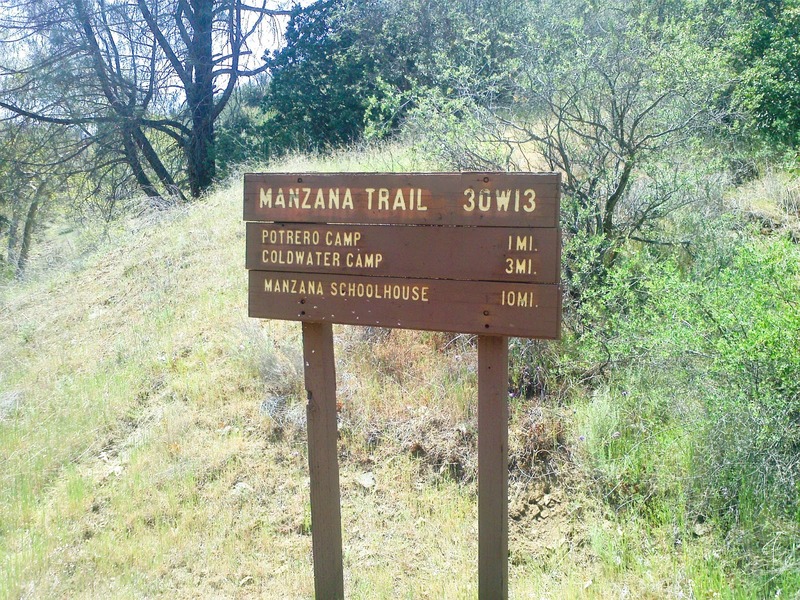 The trail is well maintained with short climbs, primitive campsites along the trail, and runs long the Manzana Creek. the City. We attempted to do this trip last year in August but due to heat and the lack of water, we were forced to turn around. This time around, the weather conditions were favorable, with ample shade and plenty of water. 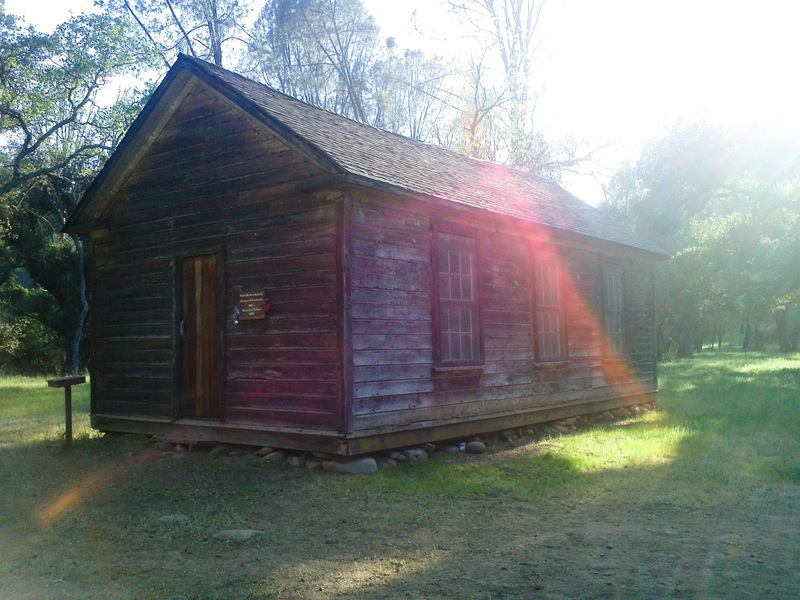 The schoolhouse is 10 miles from the trail head. 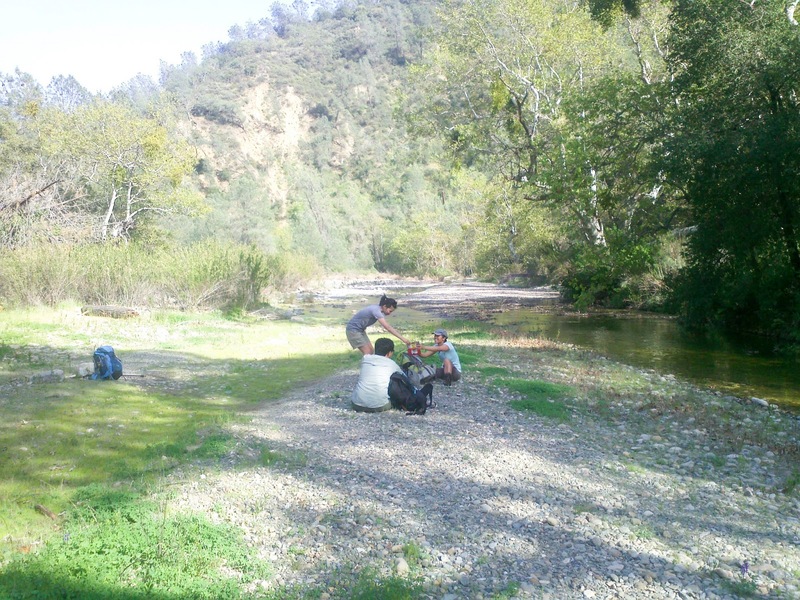 We started 1:30 PM on Saturday and were able to get to the school house (our base camp for the night) by 5:30 PM. There is a log of all the hikers and backpackers that have entered and exited the area recently. Make sure you log your information and read what others have written. One vital thing you should look for in these logs is WATER. Aimee rocking Sam’s Deuter ACT Lite 60 + 10 SL Pack. Part of the trail becomes a Jeep trail. You will occasionally see off road vehicles pass through on their way through the forest. 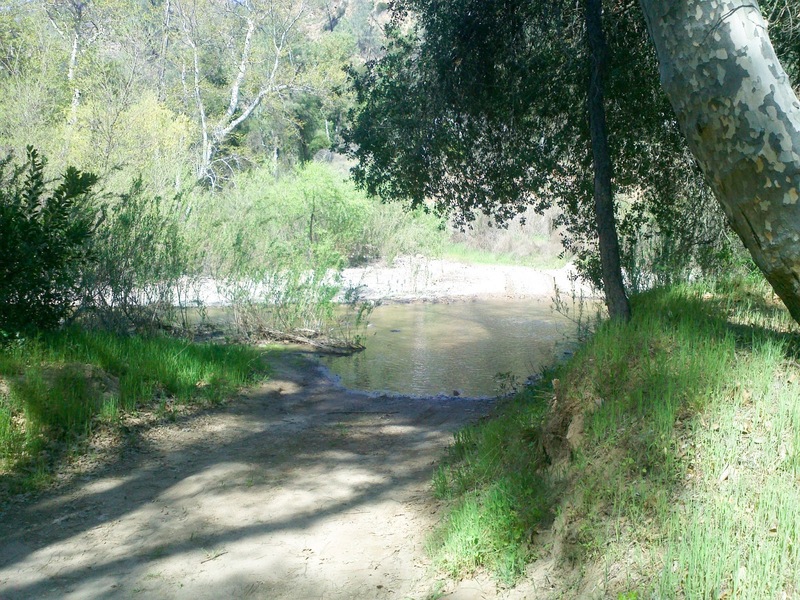 The Jeep trail is the only way for many of the private land holders in to access their land. The trail was busy in the beginning, after mile five – we were the only group heading towards the school house. The water was ankle deep, making fording easy. left behind by the original settlers. There are still small farming operations in the woods today. 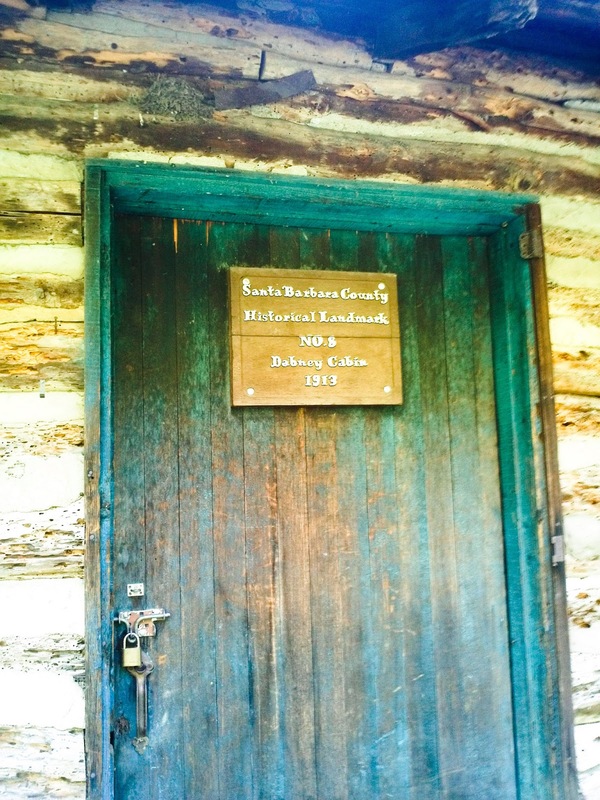 Seven miles into the trail you will find Dabney Cabin. 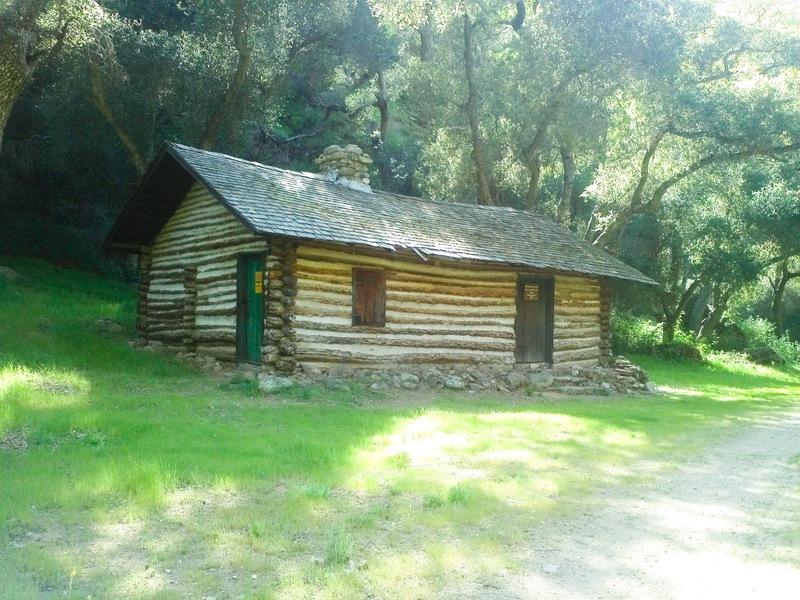 The cabin as a old hunting lodge and currently is a Santa Barbara historic landmark. There is a primitive toilet here with good access to water. Make sure you sign the book! The water is hip deep during the rainy season. At some of the larger crossings, you will find rope that will help guide you across the river. In our case, the water only got above ankle deep. If you want to stay dry, make sure you keep and eye out for alternative routes. There are many easy-to-spot crossings. 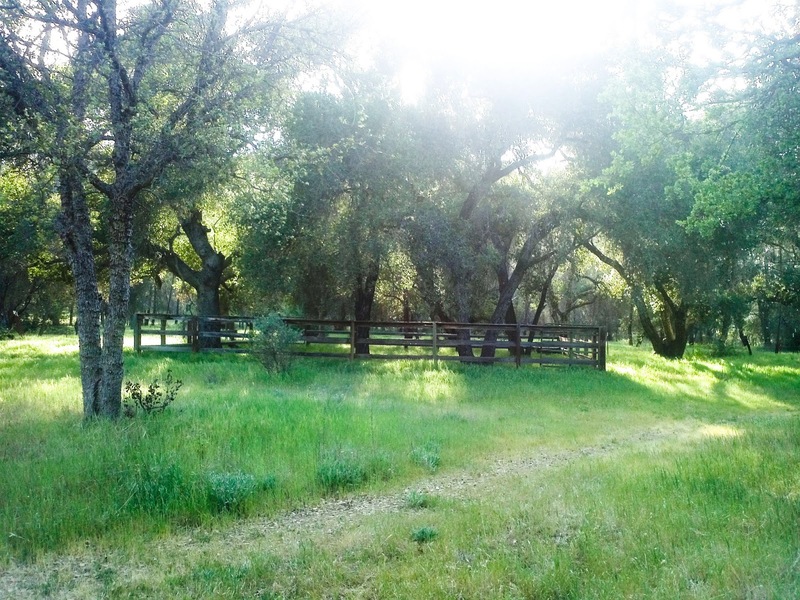 The trail will cut through several private land holdings. 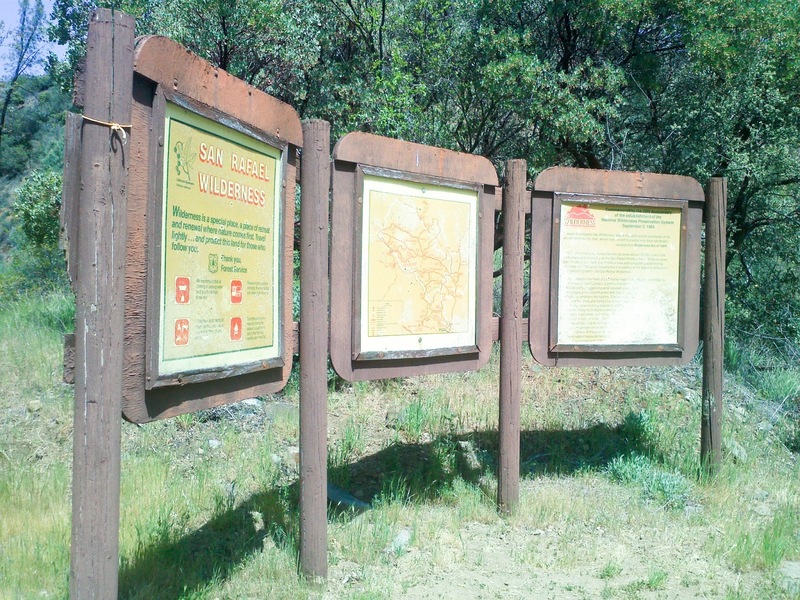 Forest Service has clearly marked these points. You must stay on trail. Please also remember to close the gates as you pass through the trail. 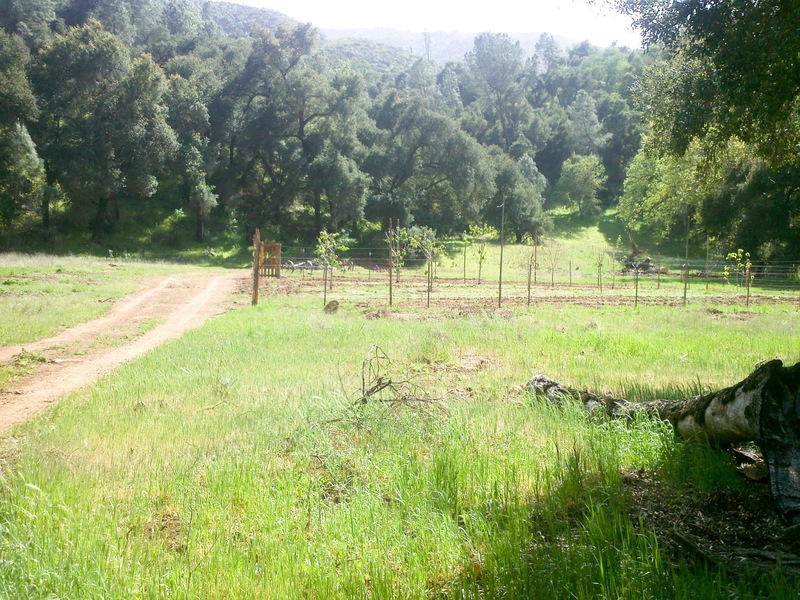 Respect the private properties, close the cattle gates and leave the livestock alone. You are given the privilege to travel through their land. 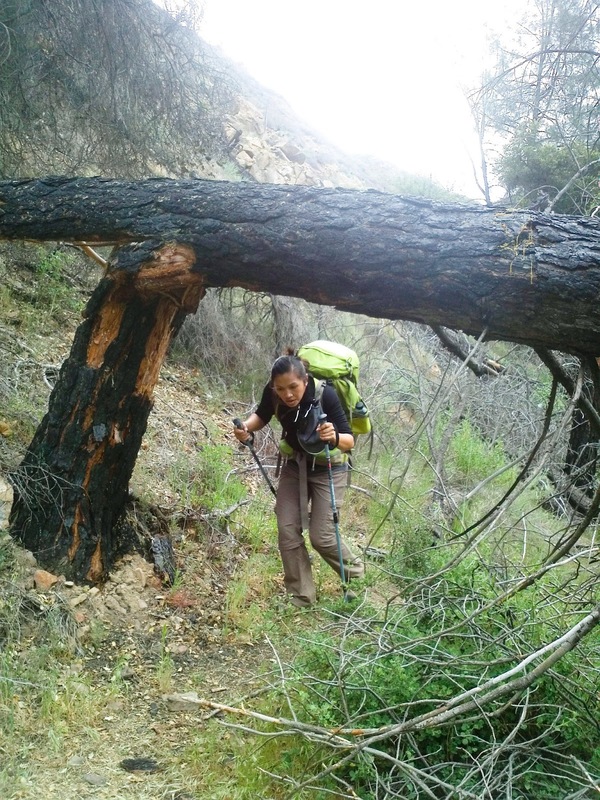 There will be a few downed trees that will make navigating through the area fairly difficult. Some make shift trails criss-cross through the area. Just remember that the school house follows the creek. 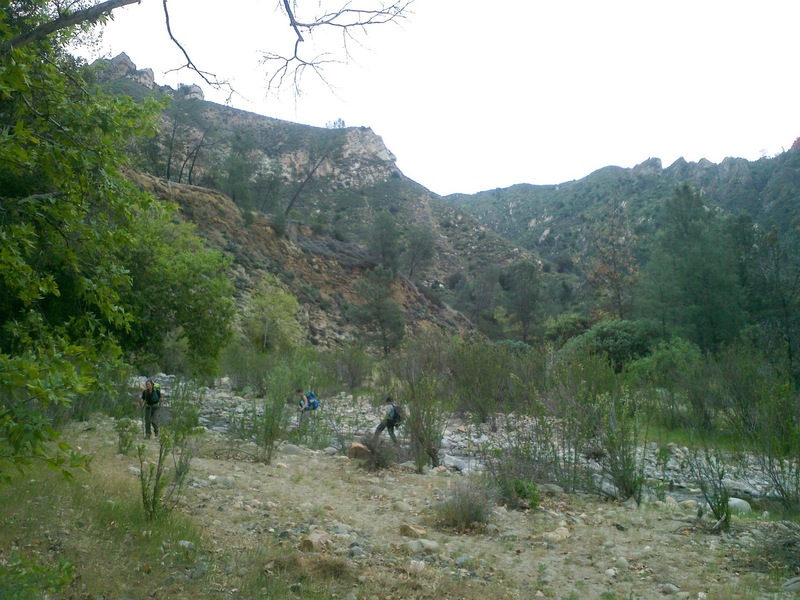 (Note: In the last two photos, we are hiking back towards the trailhead. I didn’t snap a photo on the way to the school house). 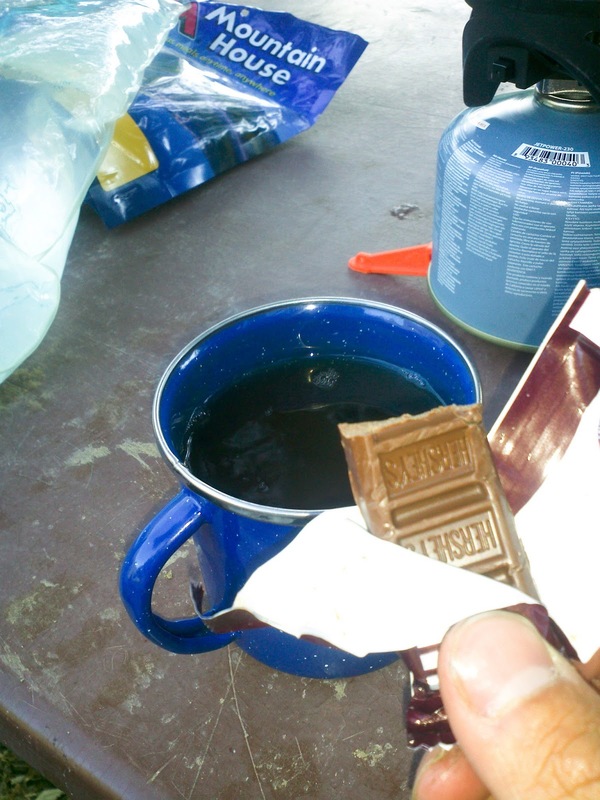 We took a break at the final crossing before hitting the camp site. This is one of the wider crossings. The exposed the river bed makes a nice spot to take a break. Once we passed the bend, we finally hit the camp site. 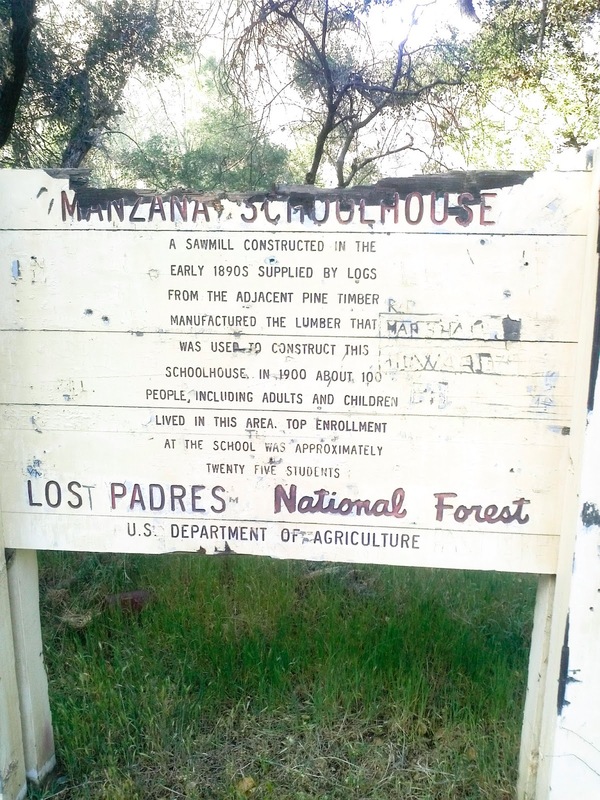 To find the school house, you will continue down the trail. It will be on the plateau to the left of the trail. at the first available camp site. 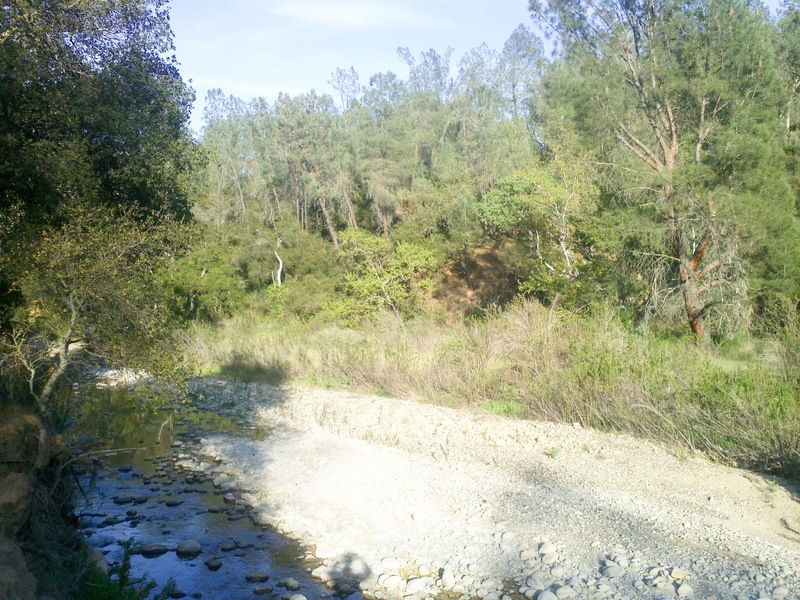 Water access is easy as the Mazana Creek runs through the camp sites. The school house is to the left of the trail. 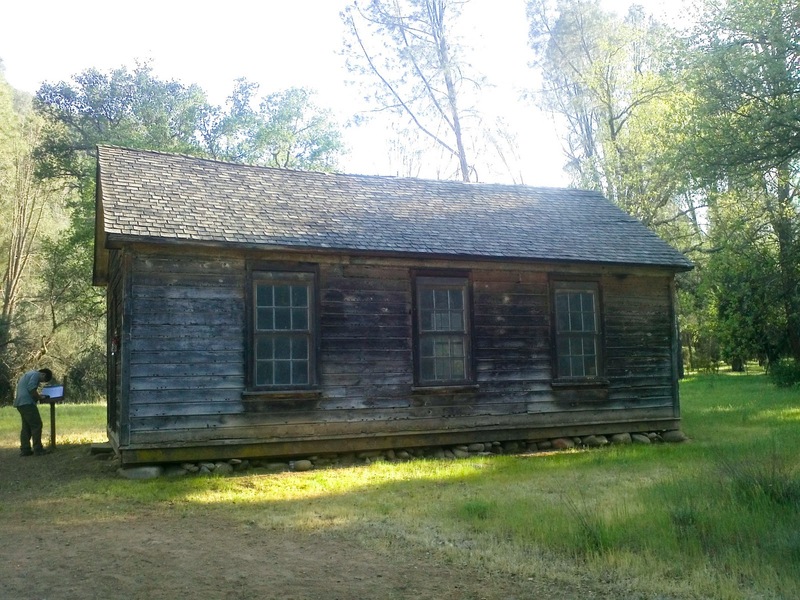 If you follow the trail and fork left up the hill, you will be able to access the school house (Note: There is a geocache in the area!). 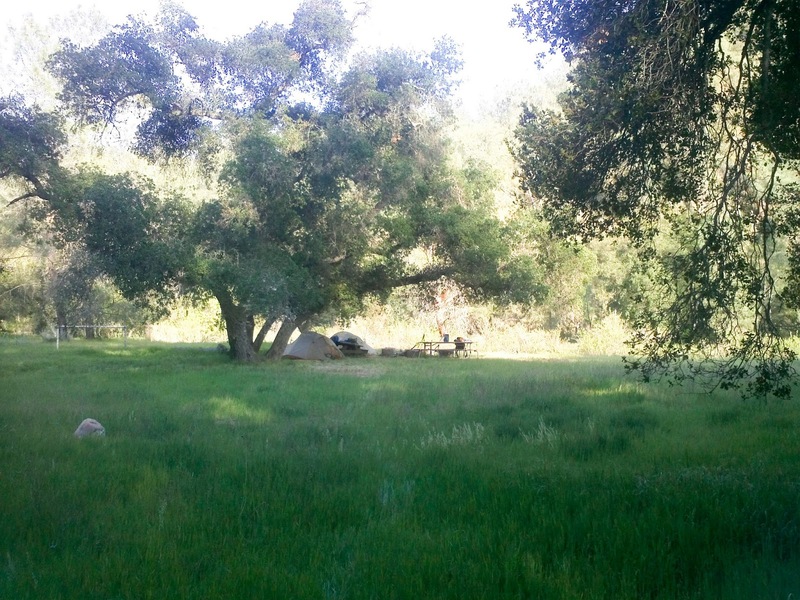 Alternatively, you can also climb the hill side directly across the camp site. Edwin helping me unpack all our goodies from the day. For a quick a simple meal, we usually opt for Mountain House Spaghetti With Meat Sauce. A much needed snack towards the end of the day as we wind down. 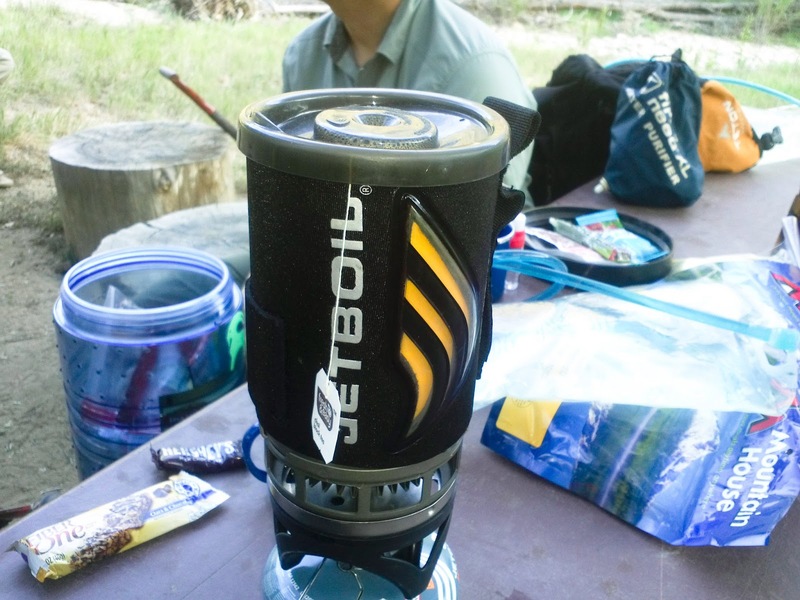 We always fire up our Jetboil Flash and have some tea and a small Hersheys chocolate. One final photo on the way out. Over all, I recommend this hike if you just need to get away. The trail continues and can easily be made into a four to five night trip. With the short amount of time we had, we opted to get to our destination and hike out. Final Notes: Do not trust the mileage on the signs, they are useless. Also, remember there are hunters and private land holders out here. 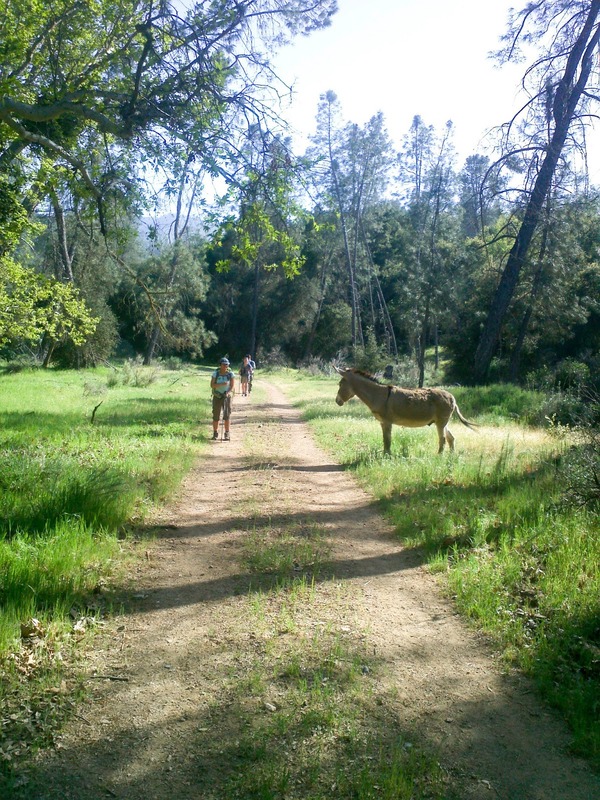 It is very important that you stay on trail, close the cattle gates as you pass through, and leave the livestock alone.